The beautifully manicured lawns and wonderful water features add to the perfect landscape, but they also attract Canada geese. Geese can certainly add to this beauty, in a natural settings. 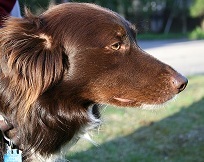 But one pair can quickly become 50 birds over time, and even one pair of nesting geese can become a danger to people innocently passing by their territory. Canada geese exhibit very strong family bonds, and often return to the place they were born to raise their own families. Female geese lay between 2 and 8 eggs, which incubate for about 28 days. 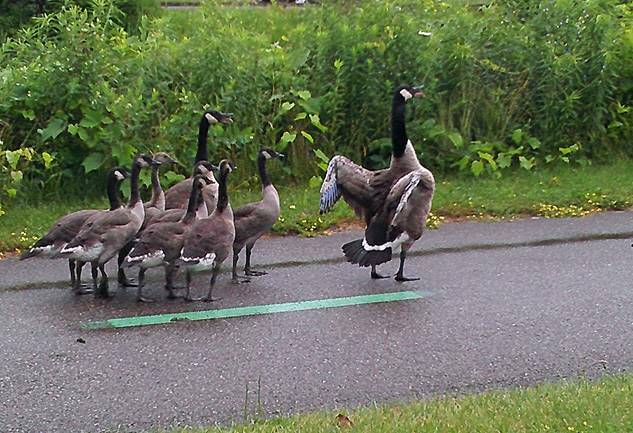 During this nesting season, geese will become extremely protective and exhibit aggressive behavior. What can you do if a geese attacks you? Stare down your attacker. They will learn from your body language that you are a threat. 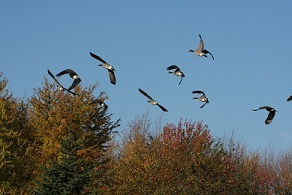 Canada geese have excellent vision and will be able to perceive where you are looking and how you are reacting to them. Do not close or squint your eyes. Do not turn your back. Slowly back away. Don’t turn your back, or stop looking at the goose. Using your peripheral vision be aware of obstacles in your pathways. Do not act hostile, remain neutral in your demeanor. Do not hit, kick or swing at the goose. 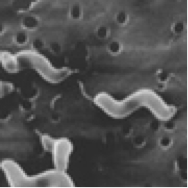 This will only agitate them more, and may even bring the female off her nest to support her spouse in the attack. If you remain neutral, you are less of a threat. 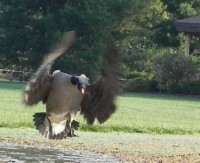 If the goose flies towards your face, duck or move away at a 90 degree angle to the direction of the flight still facing the attacking goose. 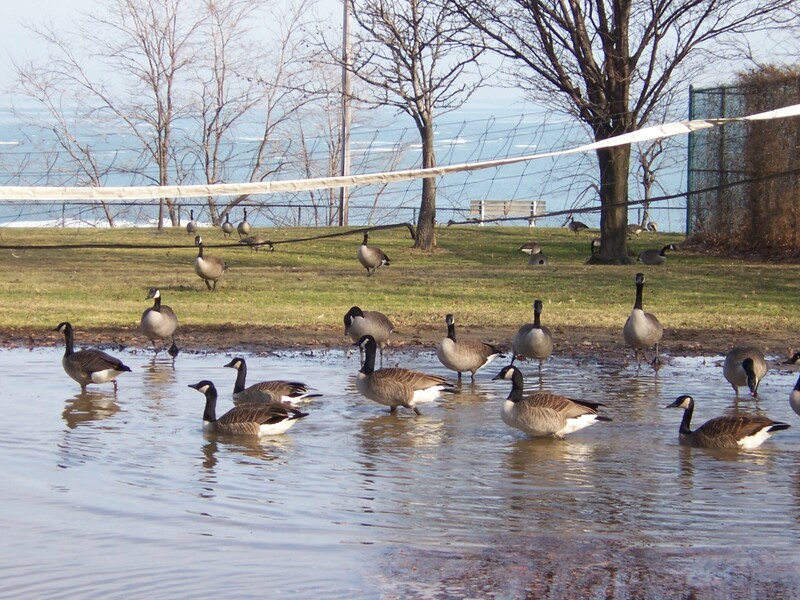 The best solution is to take precautions so that Canada geese and human interactions are limited. Download this flyer to hang up in your office. 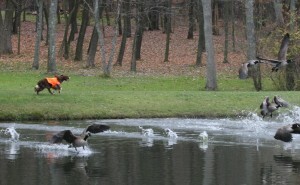 Most importantly, start a goose management program to limit the number of geese on your property. Ohio Geese Control can help develop a custom program to meet your needs. Call us at 1-877-91GEESE.